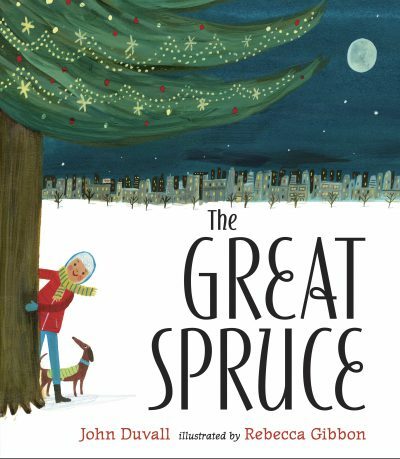 Together with his grandpa, a young boy finds a way to save his favorite tree in this heartwarming Christmas tale. Alec loves to climb trees – the little apple trees, the wide willow trees, even the tall locust trees. But his favorite is the great spruce, with its sturdy trunk and branches that stretch up to the sky. Alec’s grandpa planted it as a sapling years and years before Alec was born, and every Christmas, Alec and his grandpa decorate the tree together, weaving tinsel and lights through its branches, making it shine bright.